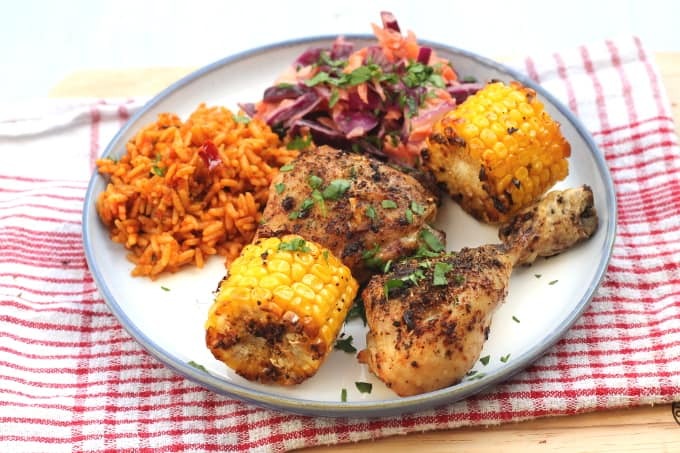 My take on this classic Nando’s meal – Peri peri chicken with roasted sweetcorn, red cabbage coleslaw and spicy rice. Its Monday again and the sun is still shining here in the UK. It looks like we might be getting a half decent summer for a change, although I hope I haven’t gone and jinxed it again! 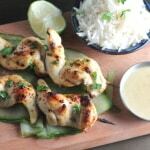 I haven’t posted a dinner recipe in a little while so I thought I’d blog one of my husband’s favourite meals today. He is Nando’s obsessed… and I mean proper obsessed! So much so he even convinced the fussy eater to have her 3rd birthday lunch there (she wanted McDonalds!). We live about 30 minutes from the nearest Nando’s and with time/money/kids/general life getting in the way he doesn’t get his peri peri fix as often as he would like. 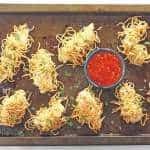 So I decided to try to make my own copycat recipe at home. My husband loves my Nando’s copy. The fussy eater isn’t so enamored. She will gobble up loads of rice but needs to be coerced into eating everything else. 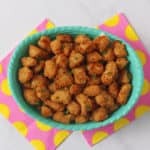 The peri peri mix can be quite spicy but I tend to make one piece of chicken with much less of the mix for her, or you can just season it with some garlic and herb mix instead. I cut the skin from the chicken beforehand so that the seasoning goes directly onto the meat, rather than the skin. Obviously it’s healthier this way but if you prefer your skin on, that’s no problem with this recipe. I love love love homemade coleslaw. I’ve never been a fan of the shop-bought stuff, only because it always has too much mayonnaise for my liking. This coleslaw is ridiculously easy to make and you can decide yourself how much mayo to add. It also keeps well in the fridge for 24 hours so I always make extra to have the following day. I don’t make the spicy rice myself. 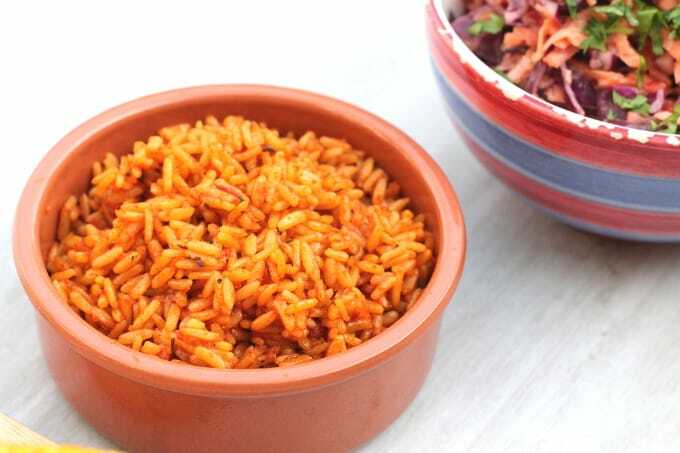 We all love Uncle Bens Mexican Spicy Rice and for quick and easy dinners it’s just perfect for throwing in the microwave and then straight to the table. I’ve only ever cooked the chicken and sweetcorn in the oven, but they would be lovely cooked on the bbq too. I would perhaps put the chicken in the oven first, just to ensure it’s cooked right through, then transfer to the bbq for the last 10 minutes to get nicely charred. Do you have your own version of any restaurant favourite meals? Remove the skin for the chicken thighs and drumsticks. Using a sharp knife, make a few slits in the chicken meat. Add the oil to a baking tray and toss the chicken in the oil. 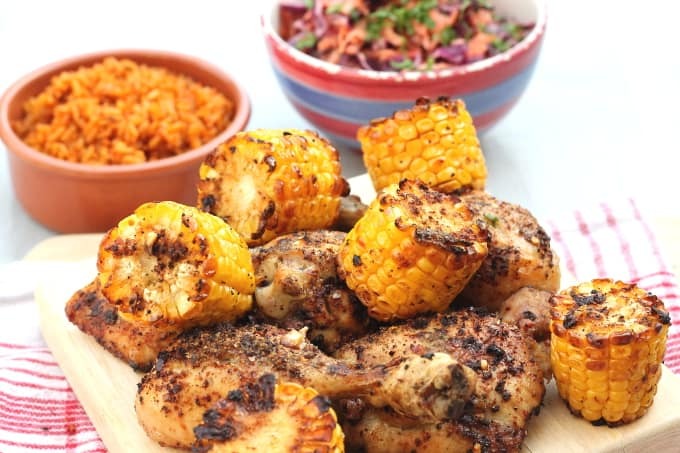 Sprinkle the peri-peri mix over the chicken, toss again and put in the oven for 25 minutes. Cut the corn on the cob into smaller pieces. I chop each one into 4, so 8 pieces in total. Once the chicken has been baking for 25 minutes, remove for the oven and ad the sweetcorn to the baking tray. 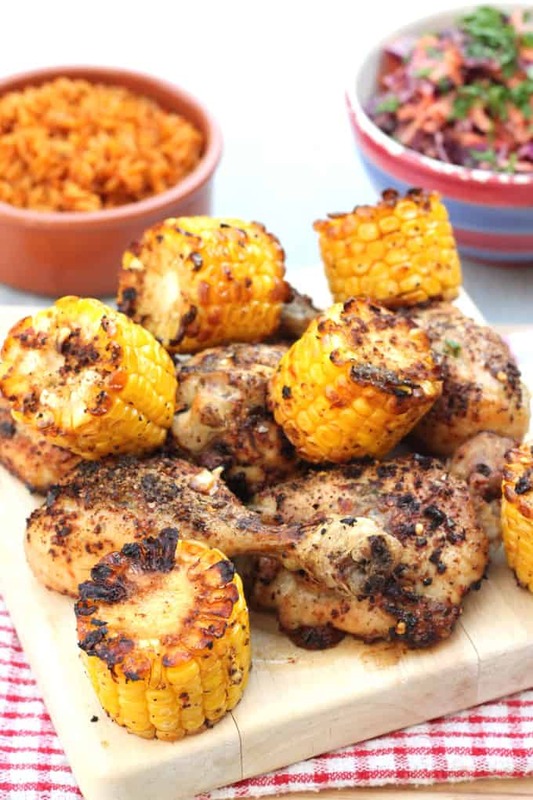 Toss the chicken and corn around so that the corn gets coated in the peri-peri mix. Return to the oven for another 20 minutes. 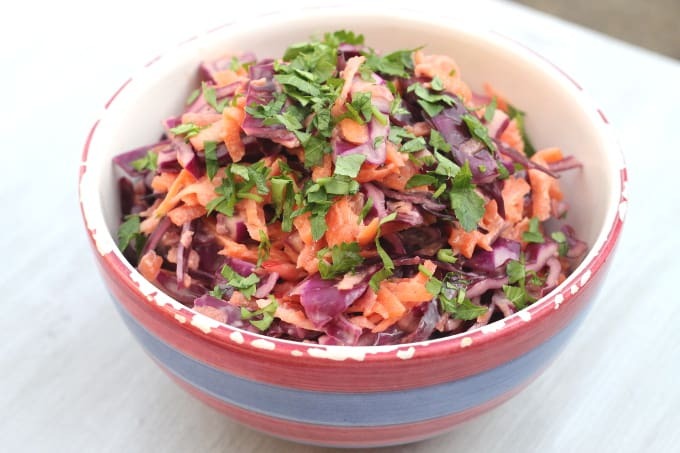 Meanwhile make the coleslaw by mixing the shredded red cabbage, grated carrot and grated apple together in a bowl. Add the mayonnaise and season with salt and pepper. 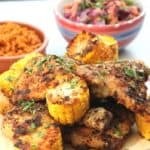 Remove the chicken and sweetcorn from the oven and garnish with chopped parsley. Super tasty. My family love Nando’s so they were really impressed with this.